Rachel and Company - GREAT DESIGN + ORGANIZATION. 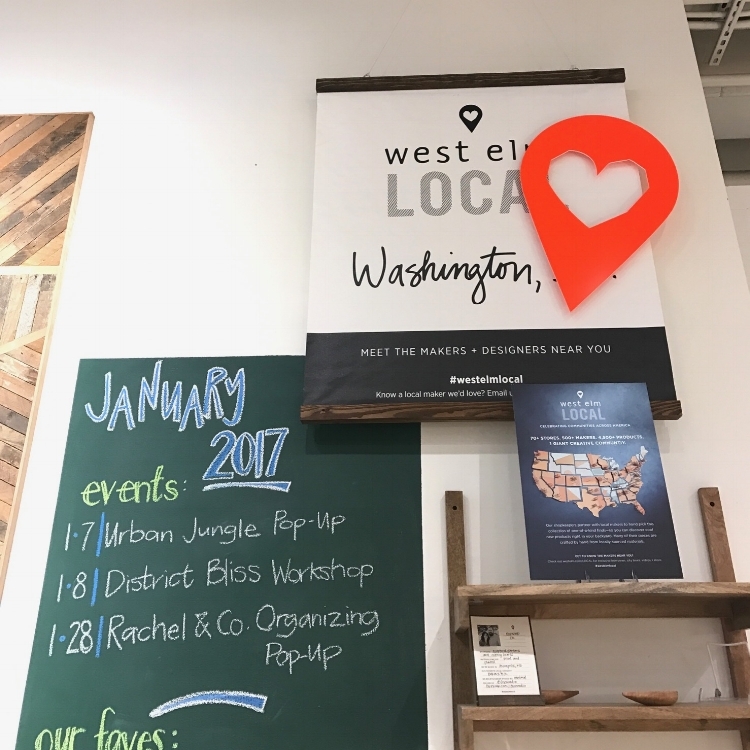 OUR WEST ELM DC EVENT RECAP. As you know by now, we’re firm believers that organization can go hand-in-hand with great design, and over the years, I feel like the product options for organization have just gotten better and better. No longer are you bound to shiny plastic bins to corral your kid’s toys or a boring coat rack to hang your bags, but instead we have found that more and more stores offer thoughtfully designed, functional options (in all sizes, colors, and price points!). One of our go-to shops when we are choosing products for our clients both online and locally here in Washington, DC, is West Elm because we love that their products are not only beautiful and well-made, but also extremely versatile. When possible, we prioritize investing in products (investing money in purchasing the right product for your need and investing your time in selecting the product rather than just buying the first thing that you find “will do”). As a professional organizer, I look for products that can transition alongside your needs rather than settling on simple fixes or specific single-function products, which is why I love how West Elm’s products work just as well in a studio apartment as they do in a five-bedroom single family home. Last month we partnered with West Elm’s Washington, DC location to host an interactive workshop based around decluttering and choosing products to help make a home beautifully organized. Our organizing event with West Elm DC focused on how to select a desired look/budget/timeline when it comes to organizing and how to declutter and choose products for the most common areas of the home--including the entryway, common area, and closets. Our group of attendees came armed with questions about how to tackle their tricky organizing dilemmas and we loved being able to share advice tailored to each problem area. This might be a narrow hallway in an apartment or a bigger area in a home, a mudroom or even a few inches of floorspace but regardless, you can maximize it. This is where you walk in, where we might consider it a drop zone of sorts for things like shoes, purses, bags, backpacks, coats, mail and more. We recommend using a mirror/hook combo to free up floor space and a console table with storage on top and underneath. This is a tricky place to start storing items because I find many people run up the issue of wanting to organize items but also make sure there is some style to their organization. This is because, being the main area of your house, this is what you see the most on a daily basis and where guest congregate the most. We recommend choosing pieces that serve double duties, like a bookcase that has both cabinets and shelves or a coffee table with storage underneath. When it comes to your clothing, the #1 thing to remember is that if you use it often it needs to be accessible. So, we love under-the-bed storage because it has a good amount of space to store items, but you should not be putting items that you grab for every day in this area because it’s going to be a pain to access. Instead, reserve the under-the-bed space for your off-season clothing or less frequently used items and store them in easy to access bins and baskets. And for those of you who couldn’t make the event, we’d love to know: what area of your home is the toughest to organize? Do you have a tricky closet or category that has you stumped on how to handle? Have you used West Elm products in your home? Rachel and Company is a professional organizing firm based in Bethesda, MD, serving clients in the Washington, DC area including: Potomac, Maryland Georgetown, the Palisades, McLean, Arlington, and Alexandria, Virginia. We also do travel! We specialize in helping busy families who are overwhelmed by clutter who often simply don’t have the time to put systems in place to be more organized. Click here to learn more about how we can work together.